Cycling in Crete, see areas which others don’t! Crete is the place to be if you are a mountain bike, road bike, E-bike or hybrid bicycle cyclist. Discover the beautiful island of Crete by bicycle on our fascinating MTB, road bike, hybrid bike or E-bike tours, in order to learn more about the landscape, culture and the people who inhabit this fantastic Island. The mountain bike tour and road bike hire centre offers a wide variety of tours for everyone: Bike trekking (Level I), mountain biking and road cycling (Level II) fulfil every demand: From comfortable downhill cycling tours for the whole family, up to programs for top-performance mountain bike and road cycling athletes. Along the northern coast of Crete you will find the tour and bicycle rental centre in the town of Rethymnon, 200 m west of the well known hotel Aquila Rithymna Beach (see map). Our mountain biking and road cycling programs are rather “mountainous”, as Rethymnon is located between the two most impressive mountain ranges, the Ida and the Lefka Ori. All hotels which are located along the 23 km bay of Rethymnon are being served by the tour and bicycle hire centre. Highly trained, multi lingual speaking personnel. Bike park consisting of modern, well maintained mountain bikes, road bikes, e-bikes / pedelecs, hybrid bicycles, city bikes men & lady and kid bikes. Deployment of air conditioned, clean coaches. 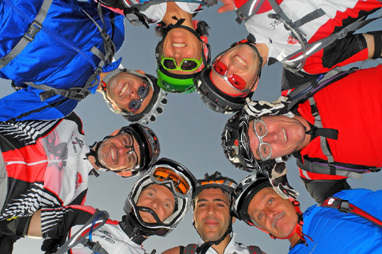 The coach will accompany the group at all times during our bike trekking program. Bicycle rental in Kissamos, Kolymbari, Chania / Agia Marina / Platanias, Kalyves, Almyrida, Georgioupolis / Kavros, Panormos, Bali, Plakias, Agia Galini, Heraklion, Kokkini Hani, Gouves, Analipsi, Anissaras, Chersonissos, Koutouloufari, Stalis, Malia, Sissi, Agios Nikolaos, Elounda and Ierapetra. Discover Crete with a high tech GPS! NEW! Road cycling & rental!